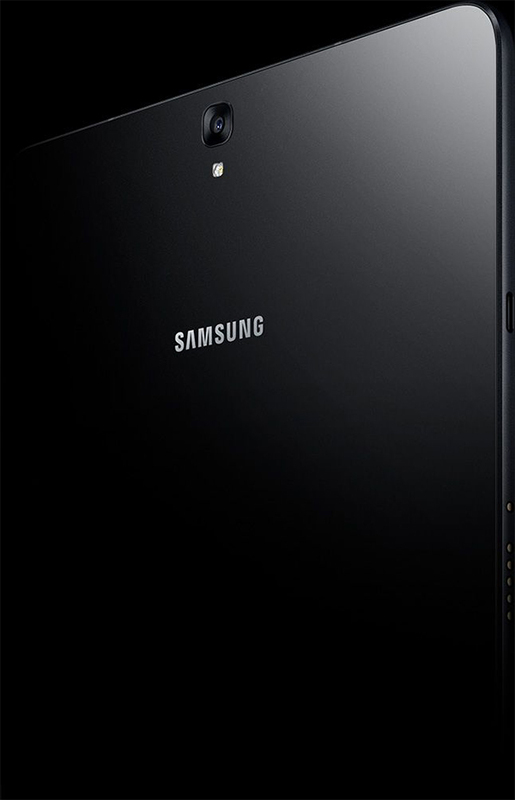 The light, slimline look is the premium quality you’d expect from Samsung. 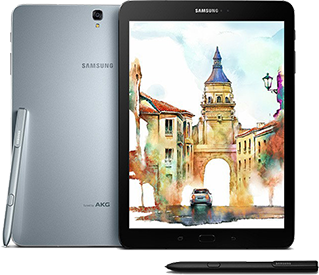 But what you won’t have seen before is the sleek, glossy glass back that gives it an amazingly smooth and superior feel. Planning a movie night? 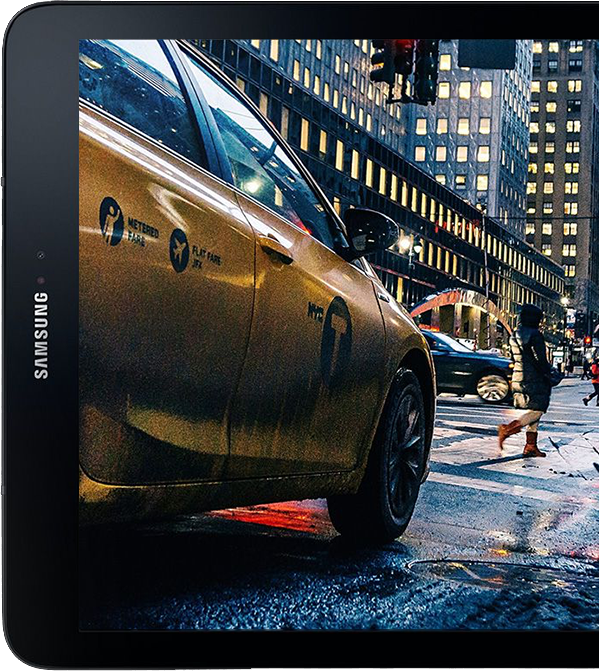 Dive into a galaxy of entertainment as you immerse yourself in a 9.7" super AMOLED screen with images more vivid and realistic than ever. 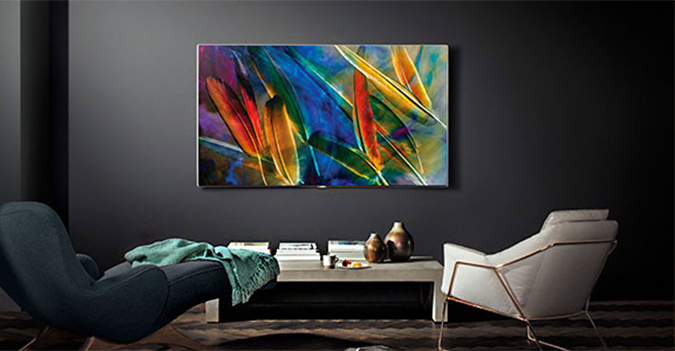 Then enjoy HDR video playback* to take your journey further and make every scene come alive. With a powerful Snapdragon 820 processor and 4GB of RAM you can multi-task to the max and be superbly entertained like never before. There’s no trilogy the Tab S3 can’t handle. And if you love games, you can take on even the most high-spec ones. Prepare to immerse yourself in an incredible audio experience. The quad speaker system blasts out fantastic sound from each corner. Tuned by world-renowned audio specialists AKG, it follows the screen direction, so you’ll hear every note no matter what angle you have it. And thanks to the AKG acoustics, the sound is always clear and crisp. 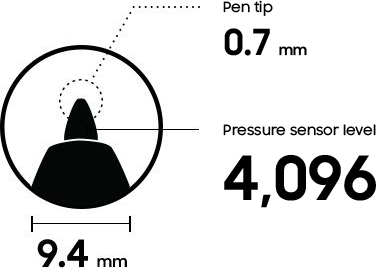 With a better grip and improved sensitivity, the redesigned S Pen naturally feels and writes like your favourite ballpoint, while the narrower 0.7mm tip makes for clearer, pinpoint control. Jot down a reminder without unlocking the screen, annotate straight onto a PDF, translate text in a hurry and more. Then express yourself in new ways with drawing tools and brush tips, share a masterpiece on PEN UP or compose a tune by drawing in Soundcamp. Out of the office and need to send a quick email? Purchase the Samsung Tab S3 Keyboard Cover, then simply clip on the newly-designed keyboard for an easier and effortless typing experience. Its new layout means fewer typos and because it plugs directly into the Tab S3, connecting is a breeze. Good news gamers. The Galaxy Game Launcher works on the Tab S3’s screen, giving you the ultimate control of your games. Before playing you can mute and hide alerts, adjust game settings to save power and more. Add to that the amazing Vulkan graphics and the tons of games at the ready in the Galaxy Game Pack and you’re set to take gaming to a whole new level. 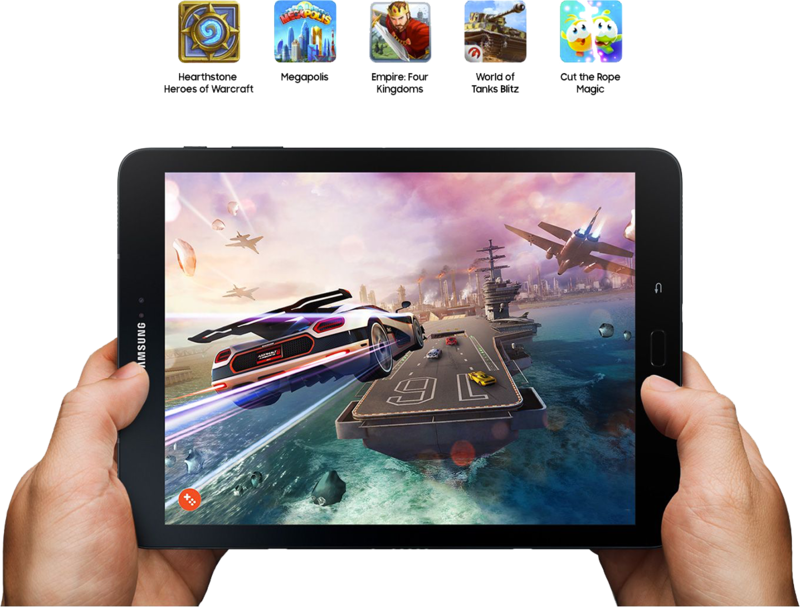 *Galaxy Game Pack game apps can be downloaded at Exclusive Game Offers in the For Galaxy menu in Galaxy Apps. *Game Broadcasting feature will be added soon. Never run out of juice on the go again. 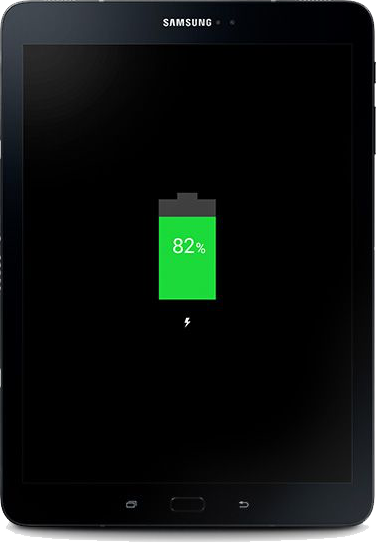 Thanks to an even better battery, faster charging and a quick power transfer via the USB C, you’ll always have a full charge. Incredibly, it takes just 165 minutes to power up 12 hours of fun. 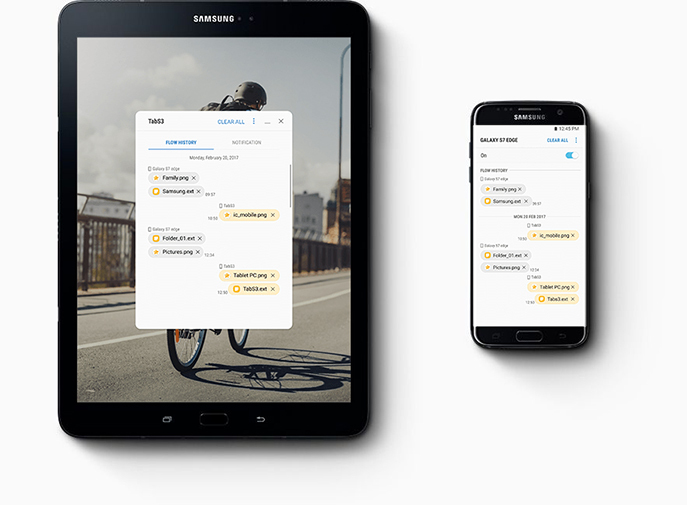 Thanks to Samsung Flow you can start something on your smartphone, then pause and pick it up again from the same place in your Tab S3. 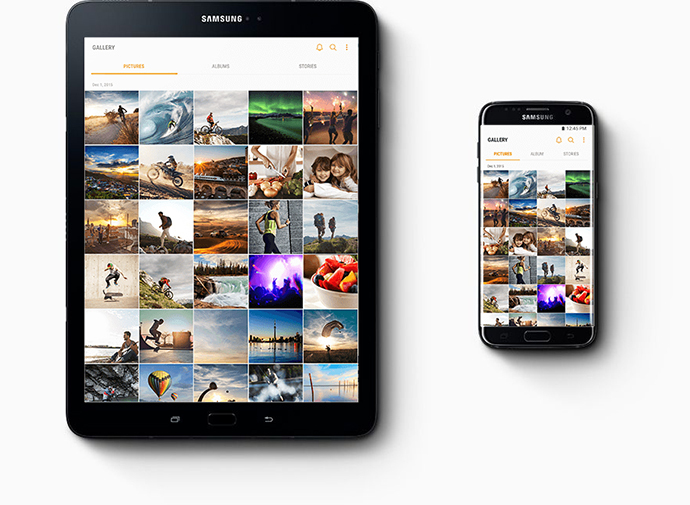 So send photos, videos and more from your phone to the Tab S3 and see it on a bigger screen. Plus, you’ll be able to keep track of all of your notifications without having to pick up your phone. 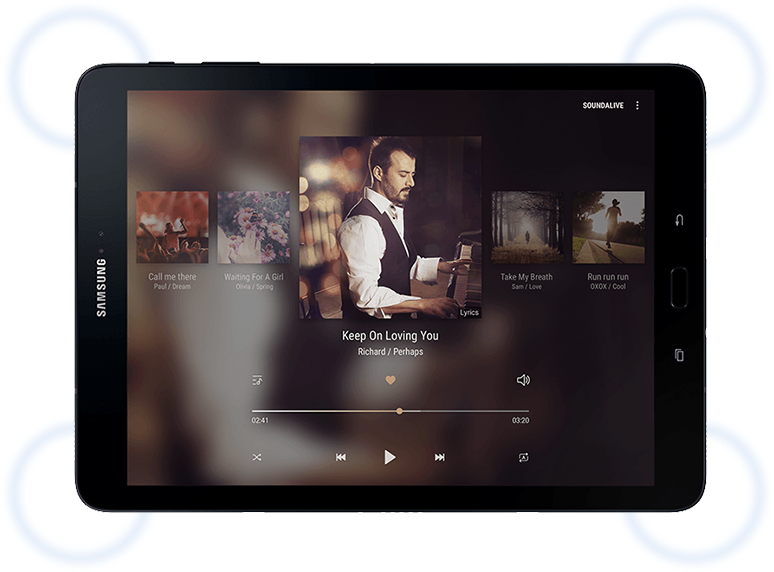 Why eat into space on your tablet, when you can enjoy 15GB of free storage – plenty of space for your entire digital world? And if you need more, there’s an impressive 256GB of expandable memory, giving you tons of room for all your music, movies and memories.